Hello! Today I have a polish from the Delush Polish Shades of Rays Collection to share with you. I was lucky enough to both win and name one of the new shades after my name suggestion was chosen. Anyone who knows me knows I love to name polishes, and the punnier the better! So here is 'You're Shrimply The Best'. Read on for my swatch and more info! 'You're Shrimply The Best' is a neon pink with a scattering of both holographic and colour shifting flakes. 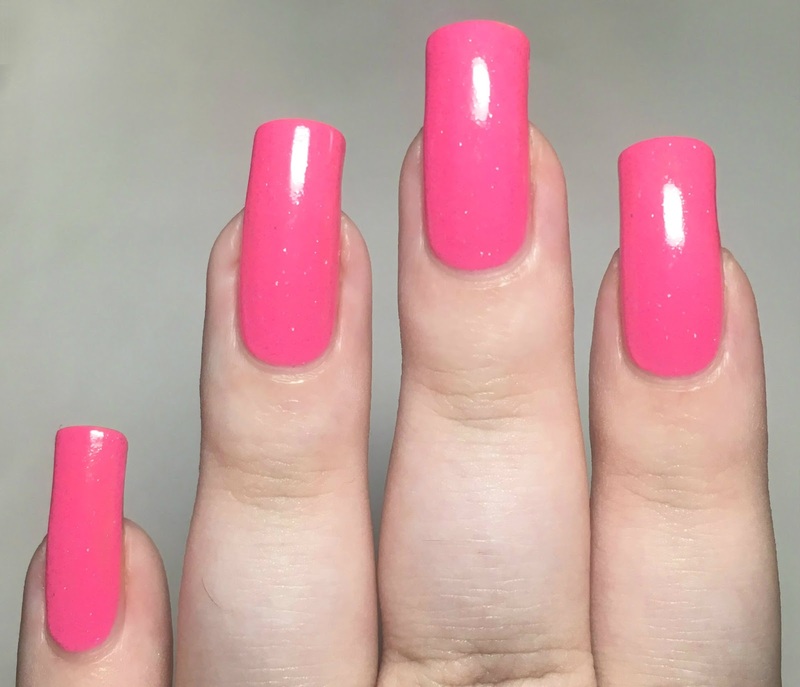 The formula is smooth and easy to apply, and builds up well in two coats. I could just about see my nail line so added a third coat to make sure. The shifty flakes are a bit more obvious in person. Below is three coats with topcoat. What do you think? Isn't it beautiful? I'm so happy that not only was my name chosen, but it was for a pink - I love a good pink polish! It also helps that it has a great formula, and those flakes are so pretty. Thank you again to the lovely Adrianna for sending this to me. 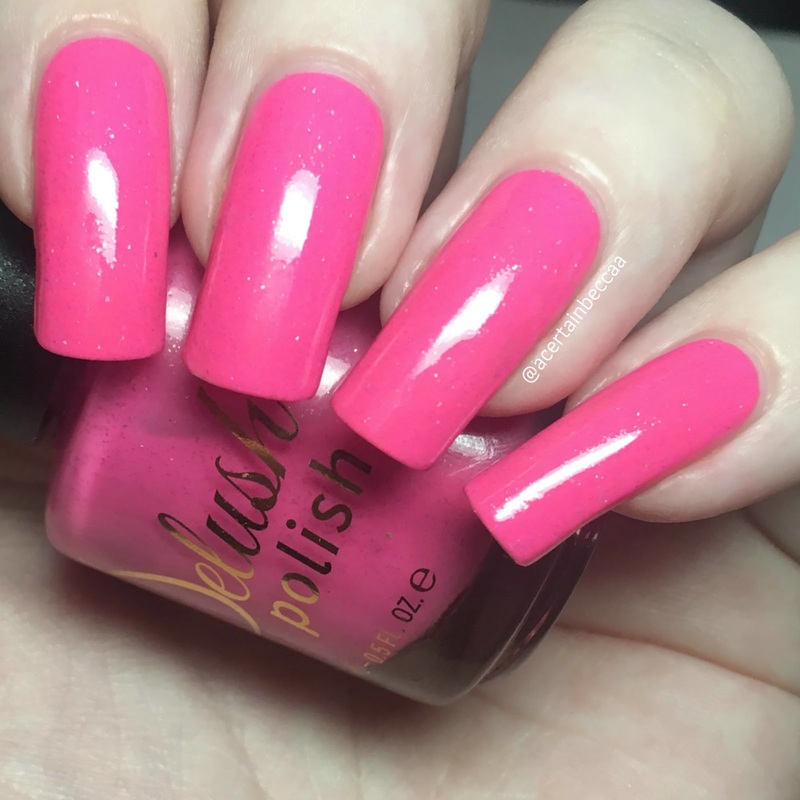 You can find 'You're Shrimply The Best', along with the rest of the Shades of Rays Collection, on the Delush Polish website here.